The parliament of Iran has voted to ban IAEA experts from accessing country’s military installations and scientists “at will.” The bill might become a major stumbling block on the way to signing the final nuclear deal between Iran and major world powers. A large majority of Iranian MPs, 199 out of 213 present for the debate, supported the bill conditioning full lifting of all sanctions against the country in return for signing the nuclear deal. “Complete and total lifting of all sanctions must be published in the text of a nuclear agreement and take effect on the day of implementation of Iran's commitments,” Ali Larijani, Iranian parliament speaker, was quoted as saying by AP. 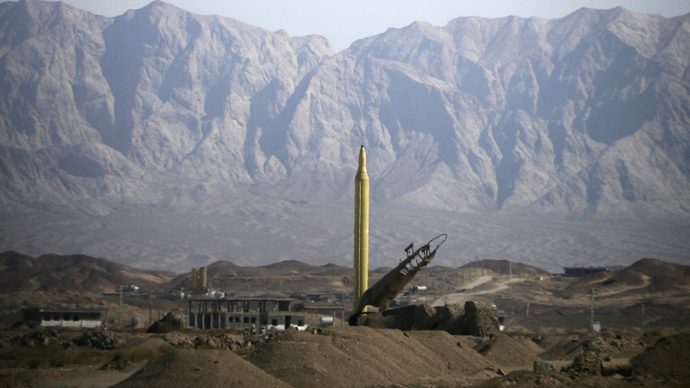 The bone of contention is an additional protocol to the nuclear deal, requiring Tehran to allow officials from the International Atomic Energy Agency to inspect any installation suspected of being a “non-declared” nuclear site. Most of the installations are military ones and this condition has been strongly advocated by the US. In case Iran refuses to grant access to the desired location and the IAEA is not satisfied with the information provided, the agency could initiate additional discussions on the issue and if there’s still no result, “there could be arbitration or they could go in front of the board and potentially in front of the United Nations Security Council,” Bagherzadeh said. The bill must be ratified by the Guardian Council, a constitutional watchdog, to become law. If it is approved, the talks between Iran, IAEA and six-nation group, consisting of China, France, Germany, Russia, UK and US) could become even more complicated, particularly because the self-imposed deadline expires June 30. The aim of the talks is to put the Iranian nuclear program under international control, in return for lifting international economic sanctions against the Islamic republic. On Monday, France's Foreign Minister Laurent Fabius is set to meet his Iranian counterpart Mohammad Javad Zarif to prepare for the final round of the negotiations.